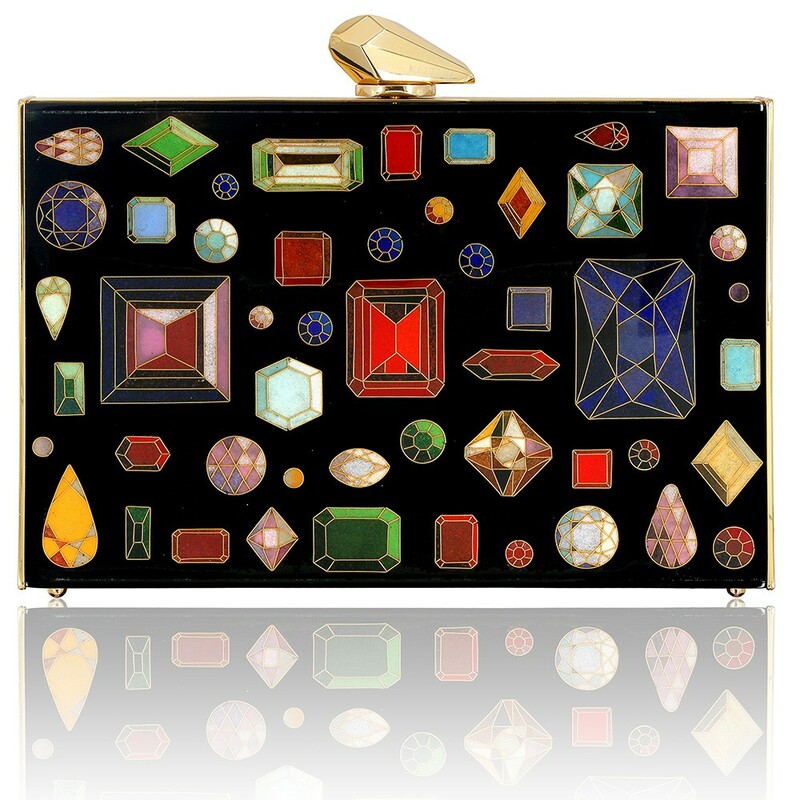 The Merrick Cloisonne Jewels features panels created by hand using the ancient cloisonne technique of fine bronze wire and enamelling originally displayed in Byzantine jewlery and Chinese porcelain. The panels are set in a gold-plated brass frame, signature KOTUR brocade lining, tassels and faceted closure with a drop in chain. It fits your essentials, including your iPhone 7+.